From what I have heard, many people have chosen August as a month to follow the “Whole 30″. For those of you who have never heard of it, Whole 30 is essentially a strict version of the paleo diet similar to what I wrote about here. For one solid month there’s no wiggle room with sugar and no “cheats” with grains, legumes or dairy, among other things. It is a pretty drastic elimination diet but can do wonders for health. It is an absolute necessity if you suspect you have food intolerances. 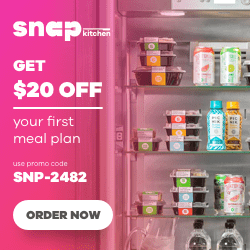 But it can also serve as a “reboot” for those of us who have already completed a 30 day (minimum) elimination diet in the past. I already eat a fairly strict version of the paleo diet most of the time, but I do occasionally indulge in full fat (preferably pastured) dairy and some sugar in the form of things like maple syrup or honey. But in honor of folks following “Strictly Paleo” or “Whole 30” plans this month, I wanted to post a recipe that will fit right in. Oil (or ghee) the bottom of a 9 x 13 baking dish. If you are not following the Whole 30 this month, and you eat dairy, you might want to check out my recipe for Roasted Beets and Cucumber Salad with Yogurt Dressing. 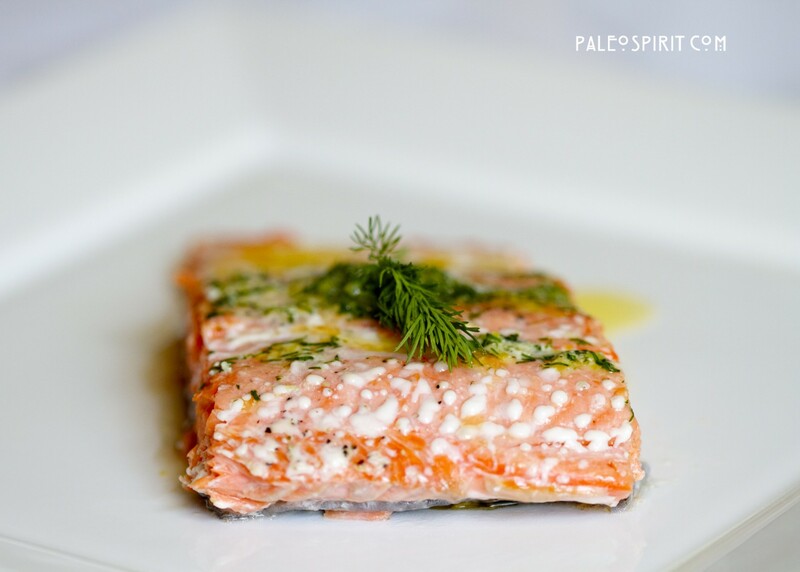 That recipe uses dill so the flavors meld well with the wild salmon dish. There is also a non-dairy option for the beets recipe but it uses eggs (in mayo) so it would not qualify as Autoimmune Paleo friendly. But you could follow the recipe and simply use oil and vinegar. 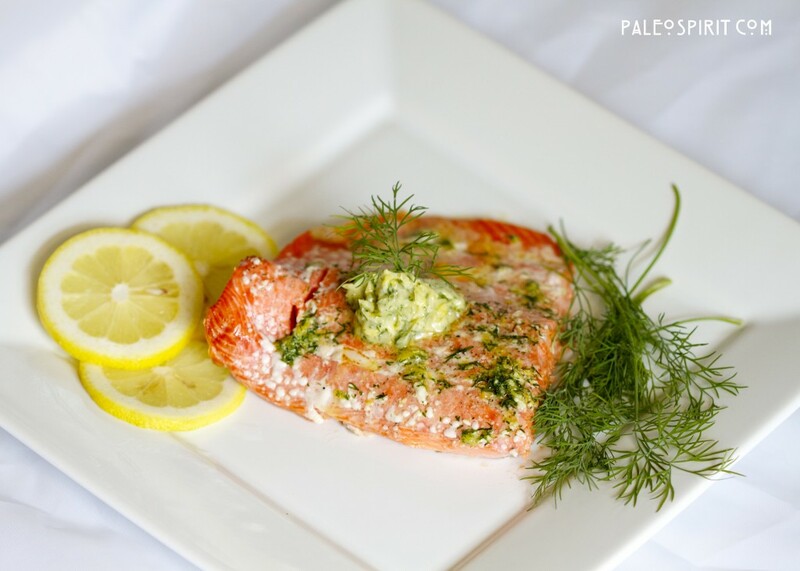 Tangy salmon dinner recipe. Autoimmune Friendly. 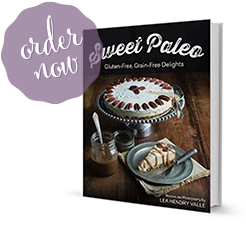 Are you following a strict paleo plan? Do you now or have you ever followed the autoimmune paleo protocol? I’m curious! * for some people who have a serious allergy to dairy, using ghee might be problematic if there is a chance some of the proteins are not filtered out. In that case, using olive oil in this recipe would be a better choice. 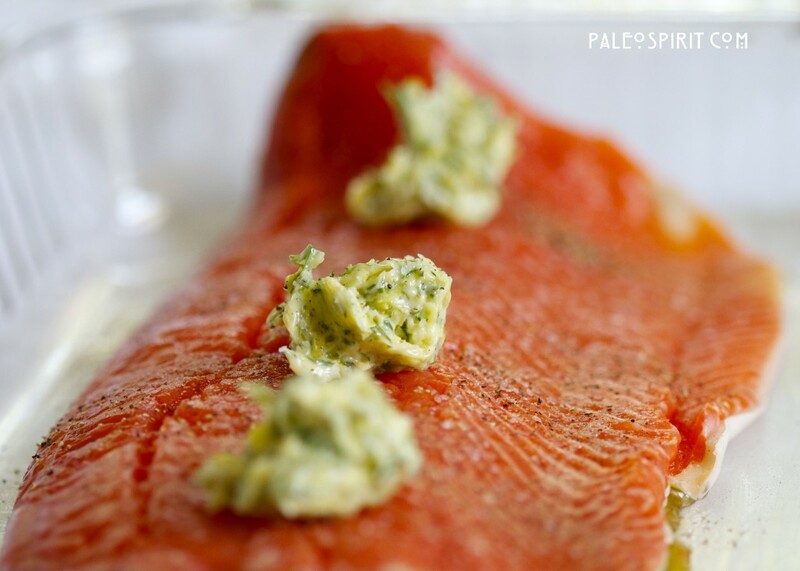 13 Responses to "Wild Salmon with Lemon Dill Sauce (Autoimmune Paleo Recipe)"
Hi Lea. I had done an elimination diet and continued to have health/intestinal issues. My doc recommended doing a comprehensive food allergy test from Immuno Laboratories called ELISA testing. Out of the 120+ foods/spices tested, I had high levels for 27 different foods/spices. I do not eat salmon often, but it came back high for me. The editor of More magazine, Lesley Jane Seymour, once wrote about how salmon was an inflammatory food for her. I wonder how salmon affects others. I stayed away from all the 27 foods/spices for 6 months. All my issues went away. I will eat some of these now and again, but never for two consecutive days as my intestinal issues tend to come back. I don’t know that allergy and inflammation are the same thing. The Omega-3 in wild salmon would ordinarily be considered anti-inflammatory. But I suppose fish is on the list of highly allergenic foods like eggs, nuts, soy, etc… I’ll have to look into the ELISA test. Was it very expensive? I paid $250, but I have a friend whose doc charged $350. I have made this twice and gotten rave reviews. Last night I served this with paleo ratatouille and steamed asparagus. Fabulous! I’m new to the Paleo diet way of eating and I’m curious….I thought salt was not to be added to anything. Is this an incorrect understanding? I am not aware of any prohibition to salt in paleo cooking and eating. We tend to opt for things like celtic sea salt because of the higher mineral content – that can actually be quite healthful. I wouldn’t recommend eating a lot of processed table salt but paleo does not mean salt free – at least it does not for me and most other folks I know. I hope that helps. I am new to this.My friend has introduced me to the paleo and doing pretty well.She uses and now so do i the pink himalayan salt.Hope that helps. 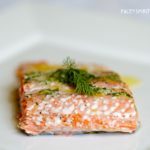 Thanks Lea – great recipe 🙂 I make salmon in a similar way but with rosemary instead of dill. You’re welcome. Rosemary sounds like a great idea!